July 1, 2013 – Los Angeles, CA – Atlanta, GA’s alternative rock band Magnets and Ghosts, which features guitarist Dean Roland from the multi-platinum band Collective Soul along with Berklee School of Music graduate Ryan Potesta, has announced their upcoming “Light My Flame Tour 2013.” Touring for the first time ever in support of their debut album, Mass, Magnets and Ghosts will kick off the trek on July 27th in Jacksonville, FL and will end on August 24th in their hometown of Atlanta. Roland met Potesta in 2007 while working on various projects in Atlanta, and immediately made a connection both musically and as friends. 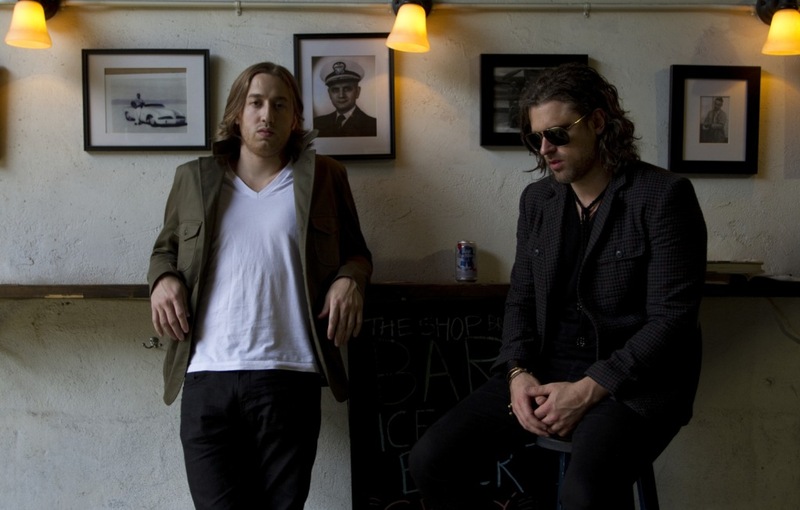 The duo discovered they had similar tastes in music and decided to form a new band, Magnets and Ghosts, in 2010. After spending the later half of that year and the next writing and recording, the band released their debut album, Mass, in November of 2011. Influenced by bands like Radiohead, Doves and Elbow, Magnets and Ghosts craft honest, inspiring rock anthems such as “Like a Sunday” and the bluesy, Zeppelin-esque song “Light My Flame.” With Roland’s experience crafting memorable songs and Potesta’s knack for songwriting and production it’s no surprise the duo’s debut has been well consumed by listeners with sales of over 5,000 copies sold to date. Pick up a copy of Mass now on iTunes or Amazon and catch the band’s first ever tour this summer!